This 3 bedroom Detached House occupies a much sought after location and is in a select cul de sac position with sea glimpses from the side view. There is a driveway and garage and enclosed rear garden to the rear. 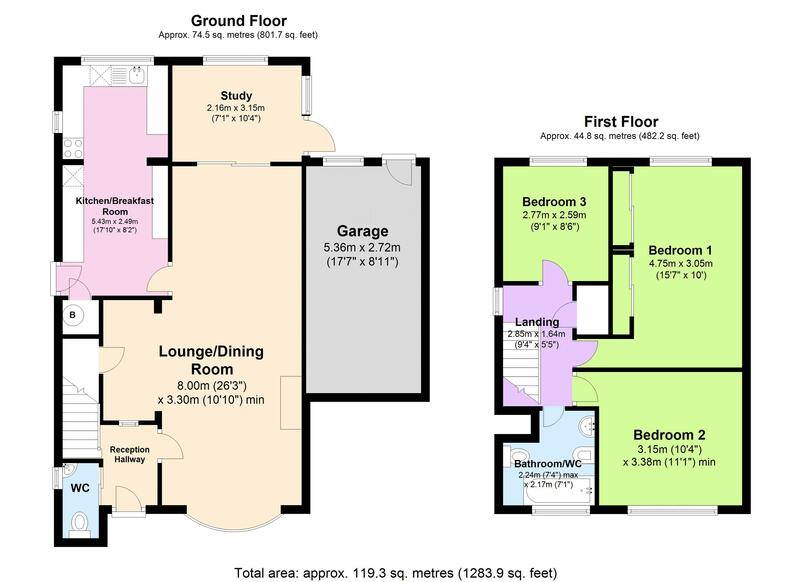 The accommodation briefly comprises entrance hall with cloakroom off, lounge/diner with study off and kitchen. There are 3 bedrooms upstairs with sea glimpses from the side aspect. There is gas central heating and UPVC double glazed windows and the property is offered with vacant possesion. Woodside Drive is in a convenient sought after location within proximity to Torwood Park,Wellswood Village and Torquay Harbourside and Torquay Town Centre in the other direction. There are good transport links around and local facilities. Tucked away in a select cul de sac location of attractive Brick Built Houses built in the 80s with sea glimpses from the side aspect. An Internal inspection is highly recommended.